MyMemories Blog: Meet Today's Daily Designer.....Valkyrie Designs! 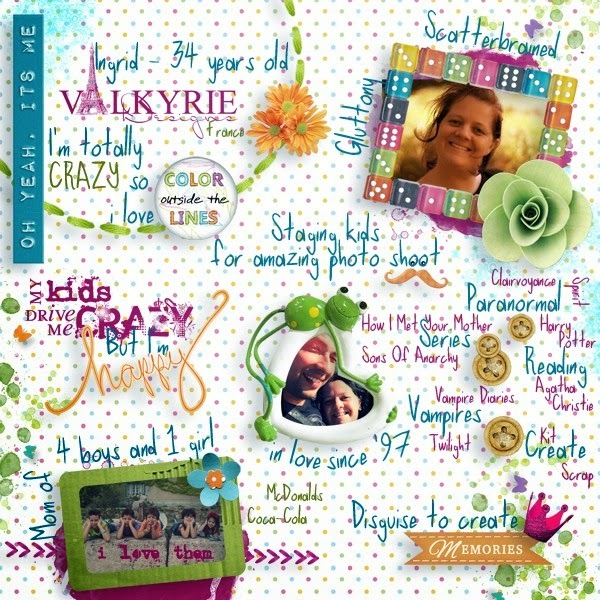 Meet Today's Daily Designer.....Valkyrie Designs! I love carnivals and the atmosphere they generate! When I am there 'loose', I become a real girl! Wide-eyed admiration, the beating heart and the desire to try everything at once! I let you imagine how I was during our stay at Disneyland! I'm also a big fan of Halloween, and I regret this time to live in France! Here, few people celebrate as it should be! While I, as I love dressing up, I coach kids in my delirium, I terribly redecorating the house and I prepare disgusting recipes!! Enjoy 50% Off Valkyrie Designs at MyMemories! 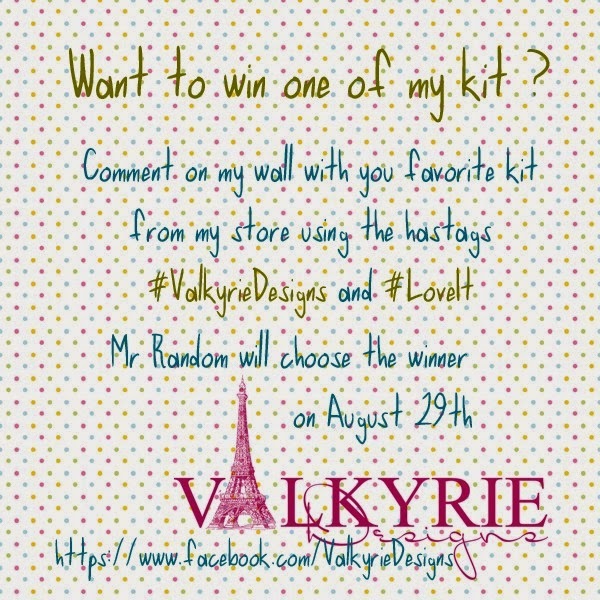 Visit Valkyrie Designs on Facebook for a chance to win a kit!